Located at 8685 ALAMEDA in El Paso, Texas. We are proud to be an automotive leader in our community. Since opening our doors in 1994, we have maintained a solid commitment to our customers, offering the widest selection of vehicles and ease of purchase. Whether you are in the market to trade or purchase a pre-owned quality, clean title Car, SUV or Truck "NO SALVAGE VEHICLES ", our professional sales specialists EDDIE OLIVAS and MANNY OLIVAS have the expertise to make the process simple and easy! Even if you are a first time car buyer, you can trust that we will professionally fit you into the automobile of your choice. 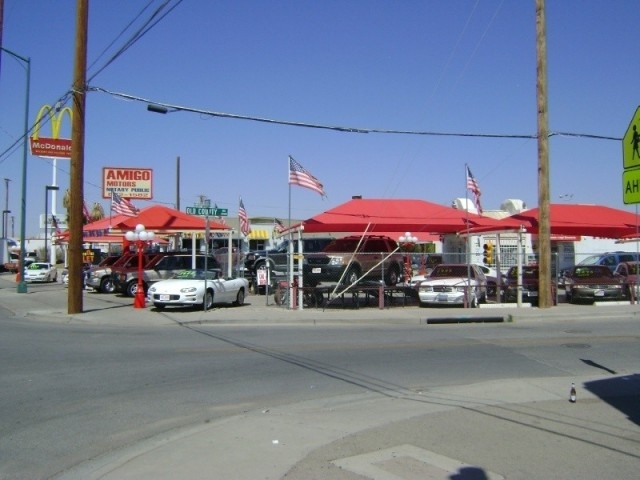 Stop by today at our main office located at 8685 Alameda or call us at (915) 872-1582 and see firsthand why Amigo Motors is the southwest’s #1 Pre-Owned Auto, SUV and Truck Dealer.